Open Road has secured the North American rights to popular UK series Eighty Days. 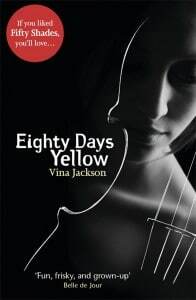 The first book, Eighty Days Yellow, will be published on September the 18th and will directly appeal to people who loved 50 Shades of Grey. Open Road intends on exclusively publishing the trilogy in ebook form, which will be available for most platforms.